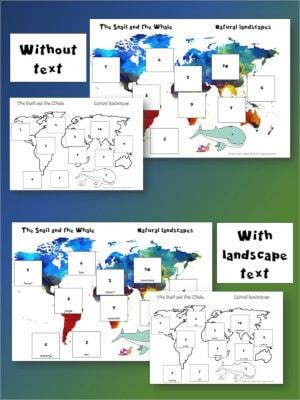 The Snail and the Whale is a story of travel, adventure and friendship. 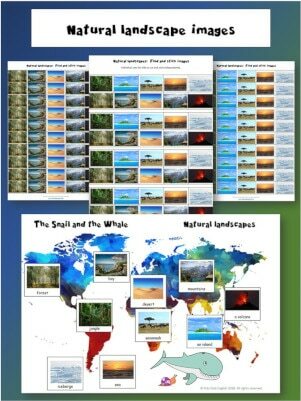 This is a story that truly inspires curiosity about the natural world. 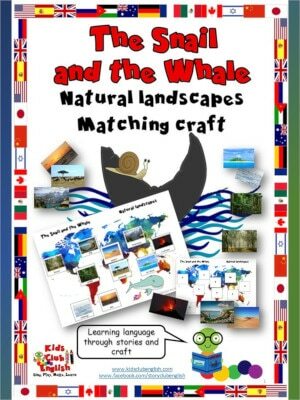 Children love the wonderful images of the different natural landscapes and they can identify with the excitement of the snail as he travel with his giant friend. 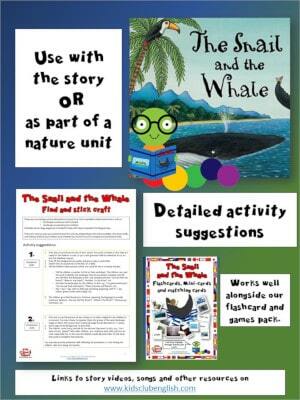 It’s an excellent story for learning natural world vocabulary and the storyline of how something as small as a snail can help something as big as a whale is simply lovely. 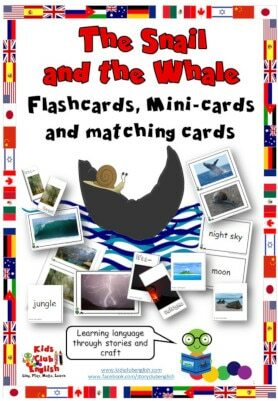 Attractive card sets starring nature and landscape vocabulary that you can use in conjunction with the Snail and the Whale story OR as part of a unit on nature or travel. 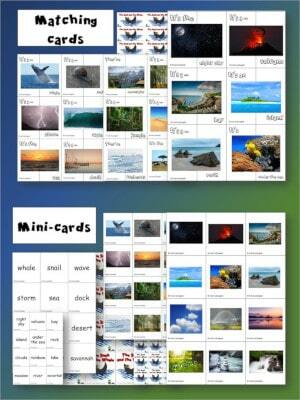 Detailed Activity Suggestions are included with games you can play with the matching and mini-cards. 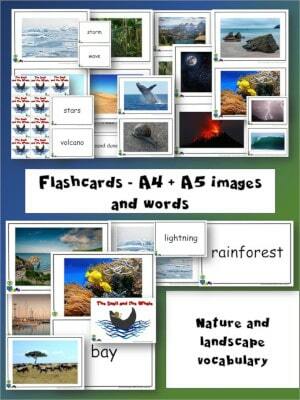 A great resource to have ready for fast finishers too. 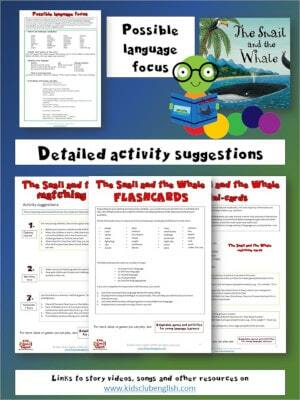 Interactive matching worksheet craft with differentiated worksheets to suit different contexts and abilities.